PennsylvAsia: Chinese New Year Celebration at Ross Park Mall, February 9. Chinese New Year Celebration at Ross Park Mall, February 9. 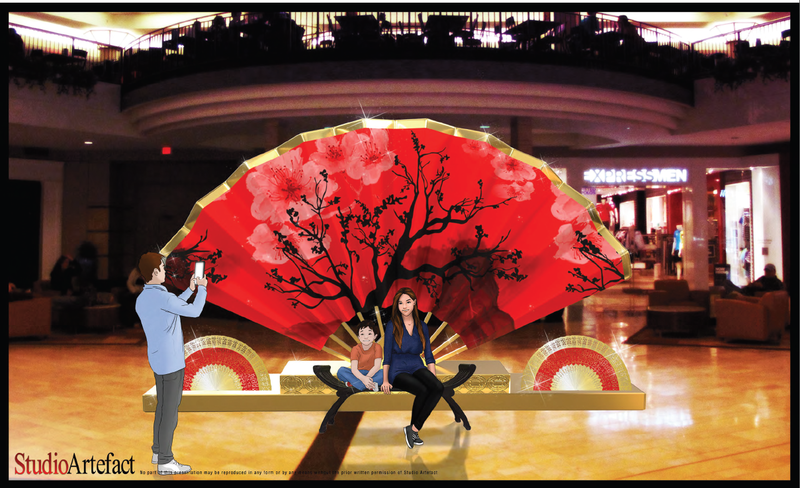 Ross Park Mall in the North Hills will hold a Chinese New Year Celebration on February 9. Chinese New Year--often known as Lunar New Year, or Spring Festival--is one of the most important dates on the Chinese calendar. It’s a time to travel to visit family, honor ancestors, and make room for luck and good fortune in the year ahead. 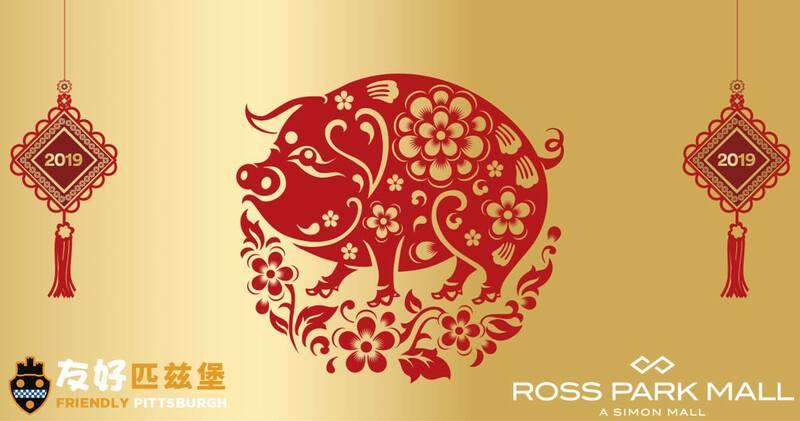 Ross Park Mall, in partnership with Idea Foundry Pittsburgh, will be hosting a special Chinese New Year celebration on Saturday, February 9 at 1-3 p.m. in the mall’s Center Court. There will be colorful performances by the Yanlai Dance School, Win-Win Kung Fu Culture Center, and Xiaobo/Joy Dance Group - including Kung Fu and Lion Dance demonstrations. Visitors can also learn to do Chinese calligraphy and sample Chinese cuisine. Starting today, guests are welcome to stop by and lounge in Center Court and enjoy Asian-themed seating areas and colorful Chinese décor, like lanterns and a Seven foot tall, fourteen foot wide red and gold-painted fan. There will be a shuttle service for students from Oakland to Ross Park Mall, from 11 a.m. to 7 p.m. Feb. 9. 2019 is the Year of the Pig. According to the 12-year-cycle of animals in the Chinese Zodiac, those born in the Year of the Pig are known to be honest, just, popular, and like to help others fix their own bad habits. Pigs might not stand out in a crowd. But they are very realistic. Others may be all talk and no action. Pigs are the opposite.